Lord Caitanya embraced Sanatana, accepting his body as spiritual. Lord Jagannatha’s prasada is sold by shopkeepers, and that which is not sold decomposes after two or three days. All the decomposed food is thrown before the cows from Tailanga at the Simha-dvara gate. Because of its rotten odor, even the cows cannot eat it. At night Raghunatha dasa would collect that decomposed rice, bring it home and wash it with ample water. Then he ate the hard inner portion of the rice with salt. When Sri Caitanya Mahaprabhu heard news of this from the mouth of Govinda, He went there the next day and spoke as follows. ‘What nice things are you eating? Why don’t you give anything to Me?’ Saying this, He forcibly took a morsel and began to eat. 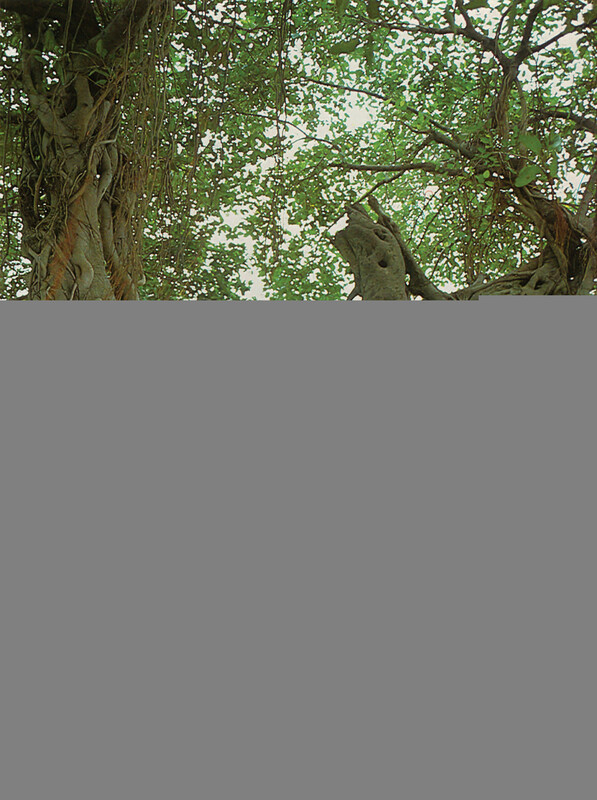 In the village of Panihati, Raghunatha dasa obtained an interview with Nityananda Prabhu, who was accompanied by many kirtana performers, servants and others. Sitting on a rock under a tree on the bank of the Ganges, Lord Nityananda seemed as effulgent as hundreds and thousands of rising suns. Many devotees sat on the ground surrounding Him. 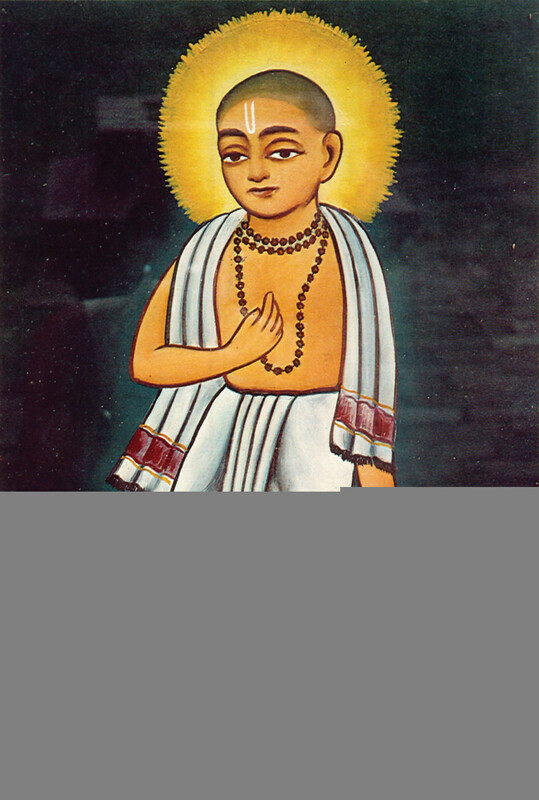 Seeing the influence of Nityananda Prabhu, Raghunatha dasa was astonished. Raghunatha dasa offered his obeisances by falling prostrate at a distant place, and the servant of Nityananda Prabhu pointed out, There is Raghunatha dasa, offering You obeisances.’ Hearing this, Lord Nityananda Prabhu said, ‘You are a thief. Now you have come to see Me. Come here, come here. Today I shall punish you!’ The Lord called him, but Raghunatha dasa did not go near the Lord. Then the Lord forcibly caught him and placed His lotus feet upon Raghunatha dasa’s head. Sanatana Gosvami was very eager to see the lotus feet of Sri Caitanya Mahaprabhu. Therefore Haridasa Thakura said, ‘The Lord is coming here very soon.’ At that very moment, Sri Caitanya Mahaprabhu, after visiting the temple of Jagannatha to see the offering of upala-bhoga [morning refreshments], came with His other devotees to see Haridasa Thakura. 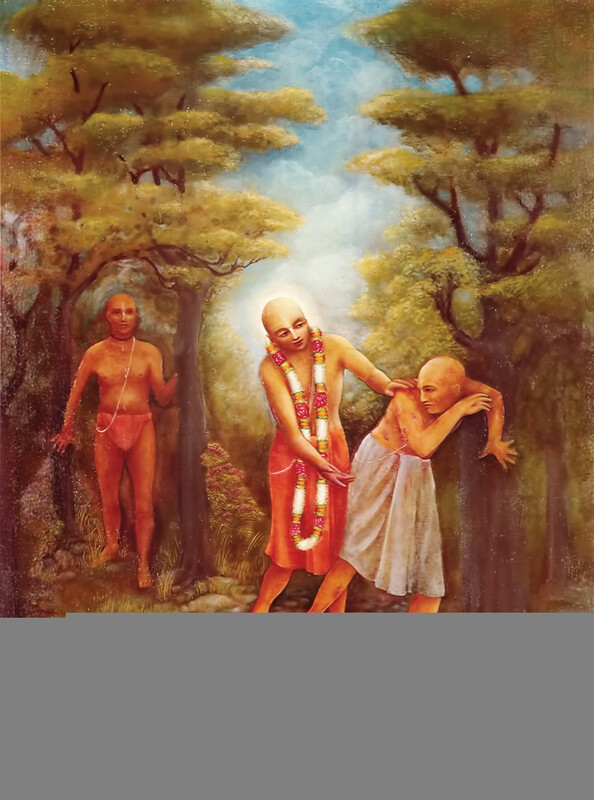 Seeing Sri Caitanya Mahaprabhu, they both immediately fell flat like rods to offer obeisances. The Lord then lifted Haridasa and embraced him. Haridasa Thakura said to Sri Caitanya Mahaprabhu, ‘Here is Sanatana Gosvami offering his obeisances.’ Seeing Sanatana Gosvami, the Lord was greatly surprised. 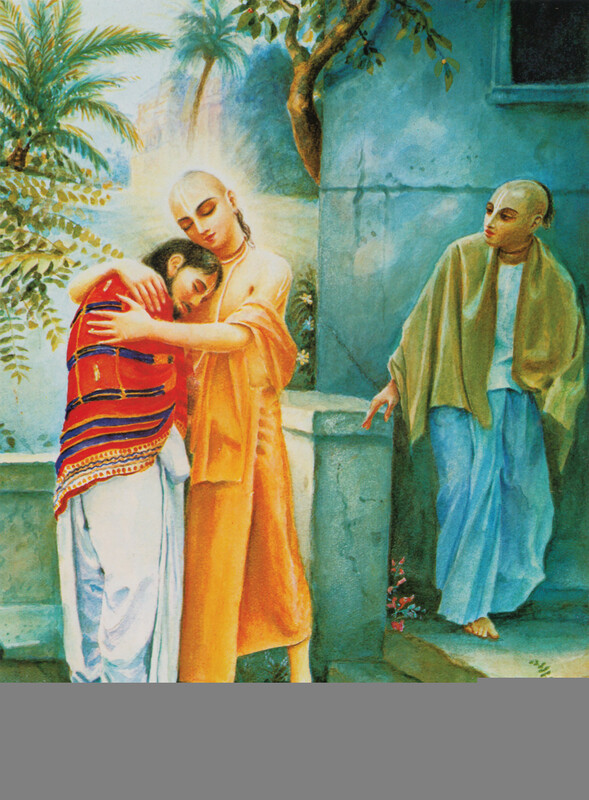 When Sri Caitanya Mahaprabhu came forward to embrace him, Sanatana backed away and spoke as follows. ‘My Lord, please do not touch me. I am the lowest of men, having been born of a low caste. Besides that, I have infections on my body.’ Sri Caitanya Mahaprabhu, however, embraced Sanatana Gosvami by force. Srila Rupa Gosvami and Srila Sanatana Gosvami were ministers directly in charge of the government of Nawab Hussain Shah and they were also householders, but later they became gosvamis. 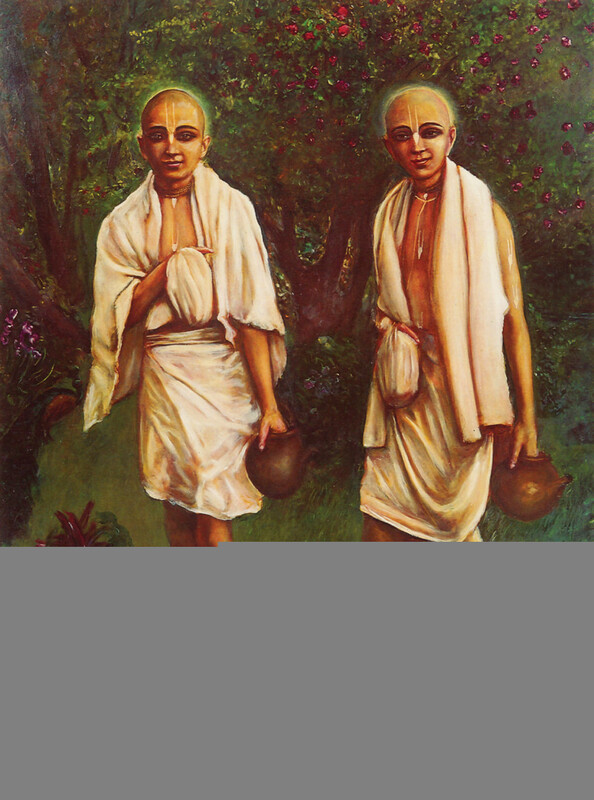 These two brothers met at Vrndavana, where they stayed to execute the will of Sri Caitanya Mahaprabhu. Srila Rupa Gosvami and Sanatana Gosvami collected many revealed scriptures, and from the evidence in those scriptures they excavated all the lost sites of pilgrimage. 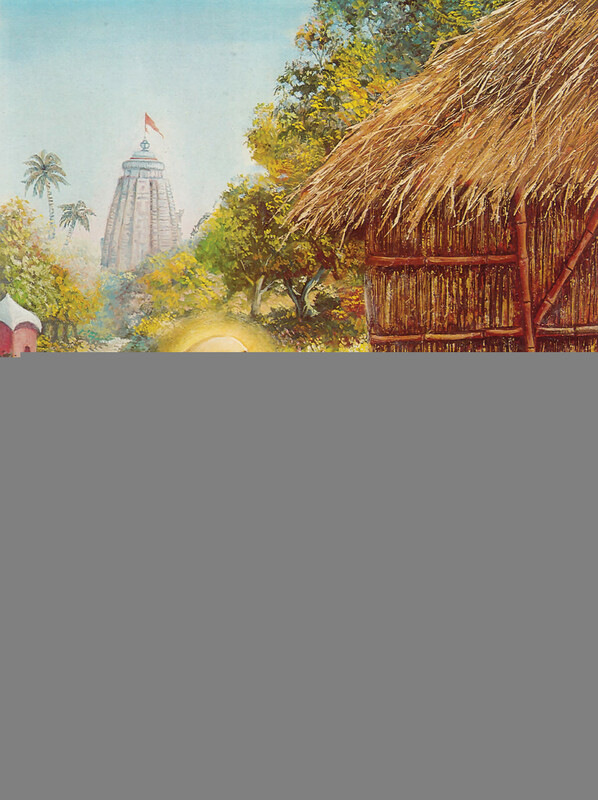 Thus they established temples for the worship of Lord Krsna. 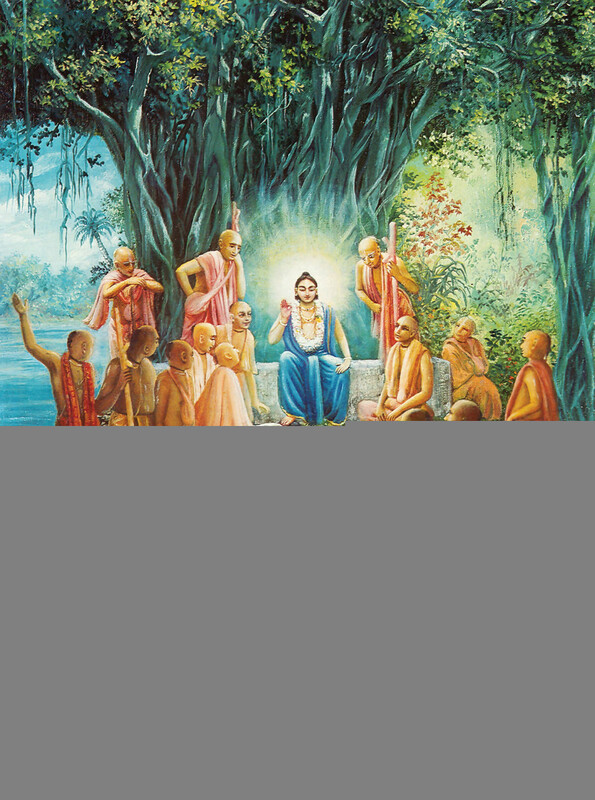 Being empowered by Lord Caitanya, they both compiled many transcendental literatures to spread the bhakti cult. 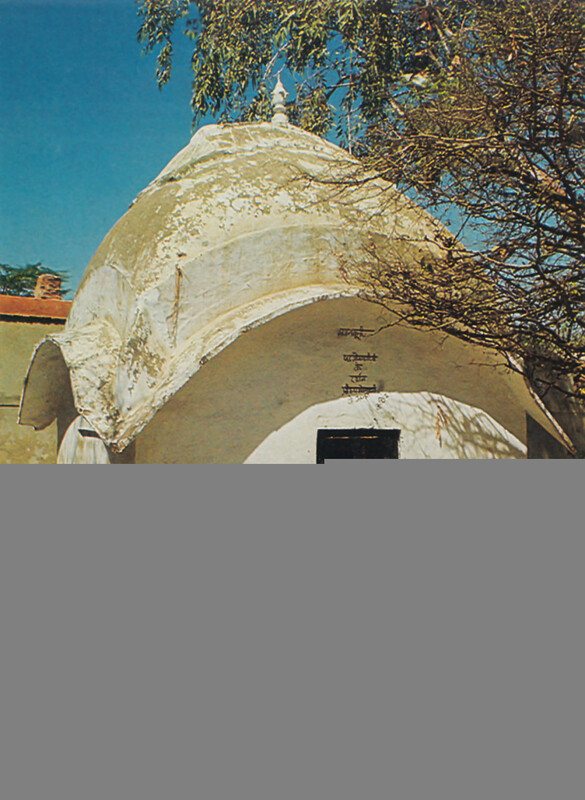 The sacred birthplace of Srila Raghunatha dasa Gosvami in the village of Saptagrama, district of Hugali. The site in Panihati where Raghunatha dasa Gosvami received the mercy of Lord Nityananda and organized a great feast for the satisfaction of the Lord. Srila Raghunatha dasa Gosvami, one of the most dear servants of Sri Caitanya Mahaprabhu, left all his material possessions to surrender completely unto the Lord and live at His lotus feet. 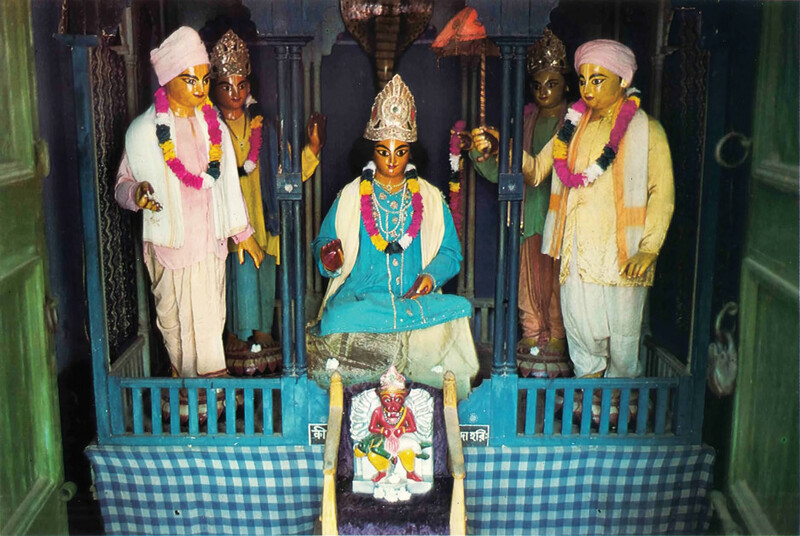 The Deities of Lord Caitanya and His associates at the house of Srivasa Thakura, one of the four sites where Caitanya Mahaprabhu would always visit when kirtana was performed. 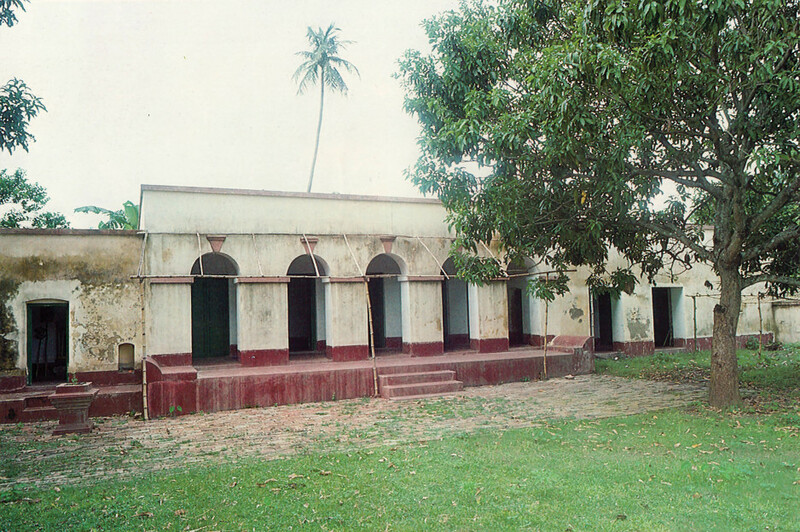 The place of worship of Srila Rupa Gosvami, the recipient of the special mercy of Lord Caitanya. Being empowered by the Lord, he wrote many transcendental literatures on the science of devotional service. The chanting beads of Srila Rupa Gosvami, the recipient of the special mercy of Lord Caitanya. 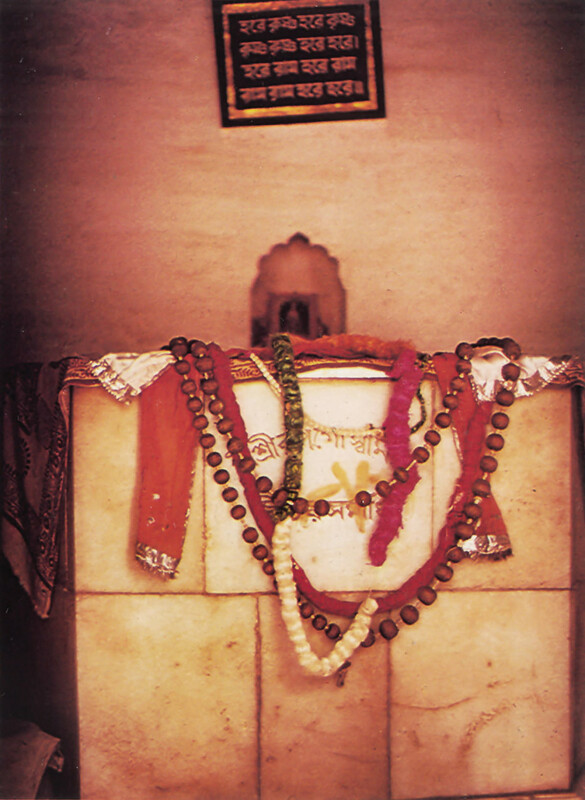 The place of worship and chanting beads of Srila Rupa Gosvami, the recipient of the special mercy of Lord Caitanya. Being empowered by the Lord, he wrote many transcendental literatures on the science of devotional service.